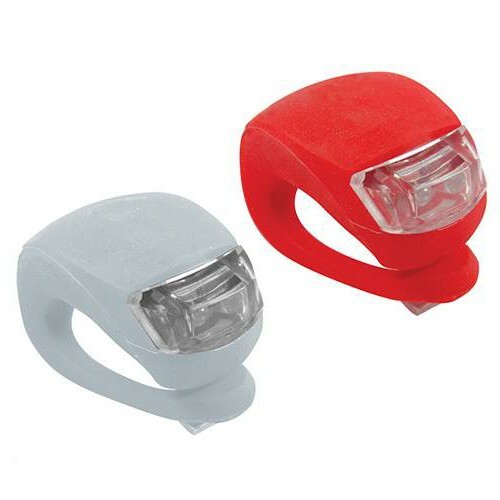 Brand New LED Clip-On Lights (2pk) Super-bright, water-resistant LED lights. 3-function (constant, slow and fast flash); 1 white, 1 red. Flexible silicone band for attaching to bikes, bags, helmets etc. Includes 2 x CR-2032 batteries per light.